I have spent most of my 20s railing against hipsters but I think the time has come to make a painful admission: by virtue of being an urban 20-something who wears Warby Parker glasses I, too, am one of them. And so, I no longer need to hide my shame and can declare proudly to the world: I'm not sure if I'll ever get tired of ironic lady punk bands, especially if they add a healthy dollop of 50s prom rock to the mix. Friends, I give you the Rizzos. "Give Me an Answer" could just as easily evoke teenage heartthrobs as the emotionally unavailable dude in our sweep-left-Netflix-and-chill dating culture. 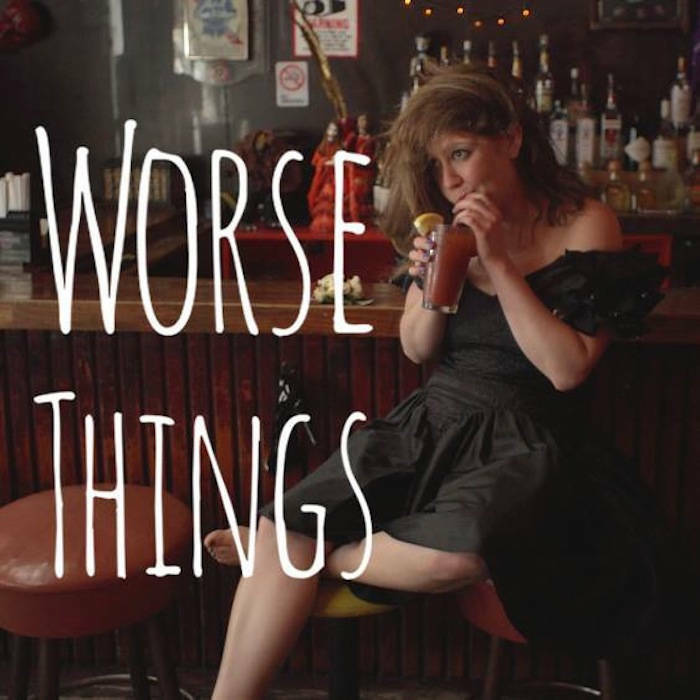 Worse Things steadily builds momentum into a riot-grrl-heavy "Get Weird." I imagine the nerdy girl having a breakdown and tearing the streamers down at the gym and popping all the balloons, much like the ending of Carrie. (At least I think that's what happened. I watched it play in the background of a gay bar once. In Williamsburg. I hate myself just a little bit right now.) The album might feel a little fluffy, but I have a strong suspicion that, unlike your high school yearbook, Worse Things will hold up upon repeated viewings.